They said my proof is useless and said I didn't know what I was talking about as it's up to 17 not at 17. 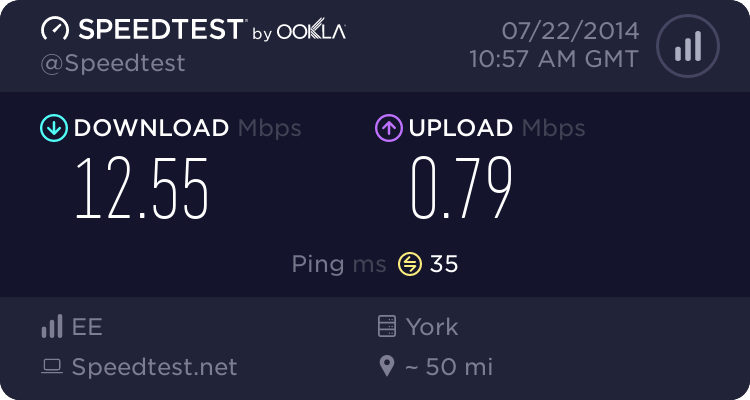 One speed test does not mean anything. If you had a few from various sites and some direct download speeds, say for a large file. Then you might have a case. In the end what are you looking for ? I just didn't screenshot it. EE broadband is BT Wholesale White label, as Vodafone was and the Post Office was before it changed provider. (To talkTalk I think). You need to use the BT Wholesale Performance Test and do the test with your computer wired to your router. It's the only one they take any notice of. As for your stats, for them to claim that connection speed is correct is utter rubbish. you need to get to a higher tier of support and give them those figures - noise margin, attenuation and connection speed, not just the connection speed. When was the last time you rebooted the router? What have you got connected to phone sockets, and is there anything that doesn't go through a filter? If you have a Sky box, what happens to the noise margin when the Sky box is on? You are kidding yourself! There is no such thing as a fixed 17 Meg commitment (I could understand a 2 Meg contract but not that high). 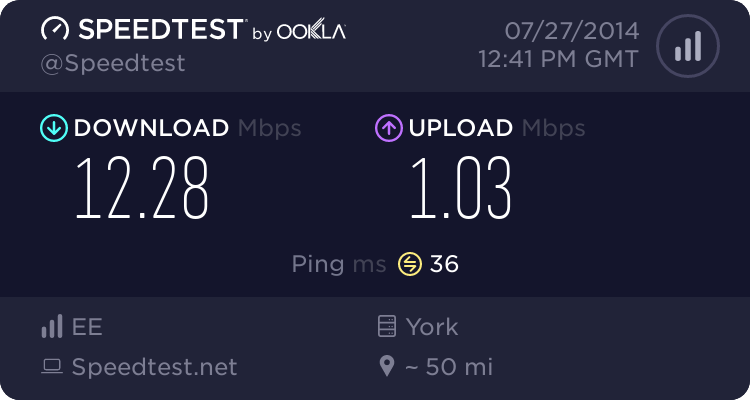 ISPs only estimate speeds up to some max. However your line is capable of the full 24 Meg providing it is stable which from the discons you are reporting it is not. It looks like you are being banded by EE, see: Banded Profiles (in the 6th band), possibly due to this instability. I've seen a lot of this banding about lately with EE and by perseverance it has been removed. Why are you not using the EE/Orange Brightbox? It gives so much more info about errors, from which it seems you are suffering. Not sure how things are now Bob, but White label was only ever an 8Mb service at one time, or at least it was a couple of years ago when I was with the PO. That was PO then; this is EE now! What does it matter how it is labelled? 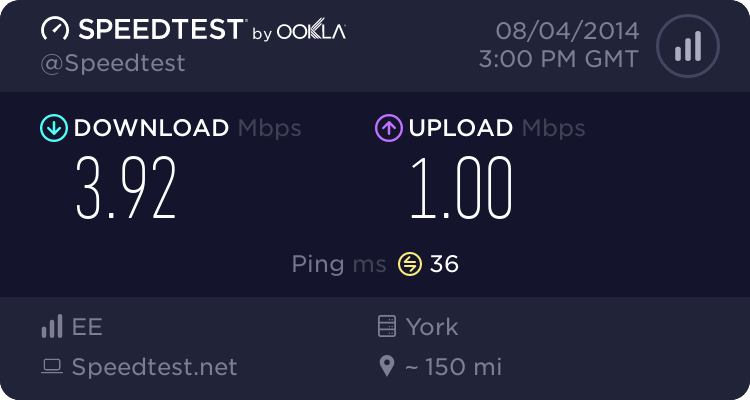 EE is still just another BTw-based ISP.